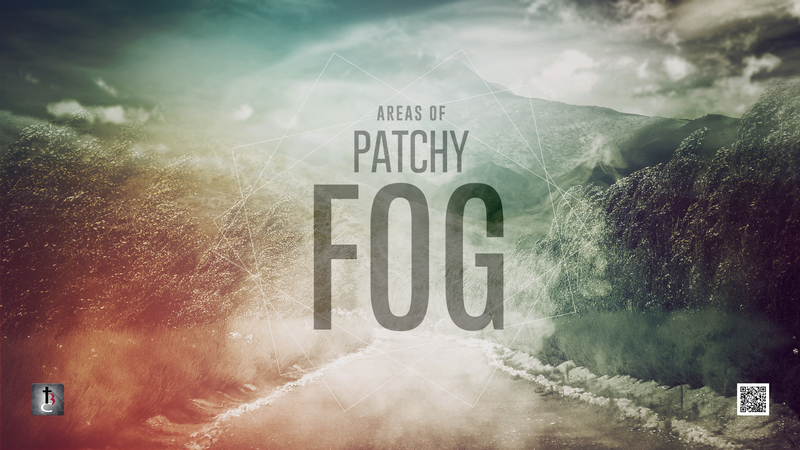 During the month of March, I have been preaching on the theme, Areas of Patchy Fog. Looking at areas of our life that can become foggy. Today I want to look at Ps. 42 and talk about being In A Fog. In the movie Courageous, the main family of the movie is the Mitchell family. There is Adam the father, Victoria the mother, Dylan the brother and Emily the young child daughter. During the movie, Emily is killed in a car accident. After the funeral Victoria is trying to deal with her loss and states that she feels like she is in a fog or some type of black hole. Let’s watch the movie clip of this scene and then talk about being in a fog. Most people in a fog are there because of something traumatic that has occurred in there life. Although some people go into a fog and they recognize the change in themselves, most usually do not even realize that they are in a fog, nor do they realize that their attitude has changed to the negative. When you don’t realize what is occurring to you, it can create difficulties in your life and bad outcomes. As we read through Ps. 42, I want you to notice that the heading in the New King James says that it is a Contemplation, while the King James and NIV say that it is a Maschil. The original Hebrew word used meant a song of instruction to be understood. It carried the emphasis of not only instruction but something that we need to think carefully about. Let’s read Ps. 42 and then think carefully about what we learn from it. Specifically, the symptoms of being in a fog and the steps to getting out of a fog. Symptoms of being in a fog. When you are in a fog, your emotions are affected much like we see in verse 3, where he describes having tears both day and night. Many times when we get into a fog of depression, there are two expressions that develop in our thought and that is Where and Why. Where is God in all that’s going on in my life and why is this happening? Notice the wording of “used to”. He used to have joy, but now it’s gone. The joy seems to have departed. The expression of being cast down carries the meaning of melting away. The energy to move forward in life is draining away. Life doesn’t seem to have much meaning anymore. The word disquieted in the original language means to be tumultuous or groaning from inside. An angry or negative attitude comes out a lot. Steps to getting out of a fog. He refers to remembering some things. He remembers how things used to be and now he notices there’s a change that has occurred in him. You can’t get out of a fog until you recognize that you are in a fog. The Christian motivational speaker, Zig Ziglar, would have said that we need a check up from the neck up. Check your attitude. His soul thirsts for God like a deer that pants for water. A panting deer is one desperate for a basic need. A whitetail deer can run 30 MPH, almost leap over 8’ tall fences & cover 30’ lengths in a single bounce. After a deer has exhausted it’s extreme abilities, water is what it needs most and is it’s number one desire. Let your desire be what you need most and that’s God! Call on the Lord from deep down in your soul. Remembering the good experiences that you have been a part of in the past renews your sense of God and His goodness. Remembering the things that God has done and provided in your life. Confess the goodness of God. The best way to release your anxiety is in praise to God. Anxiety and praise can not dwell in the same place at the same time. The best way to forget the pain of our miseries is to praise the God of our mercies. Confess your praise to God. The final verse of Ps. 42 acknowledges that hope and help come from God. The original word for help was Yeshua or our deliverer and salvation. You can only get out of the fog when you fully place your trust in God. Commit everything into His hands. Let’s do a check up from the neck up and start looking up! God can bring you the hope and help that you need.